The Queens rapper’s new album is now available via Stones Throw Records. 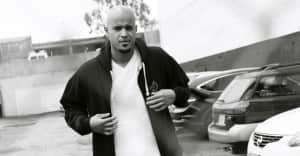 Last month, The FADER premiered Queens, New York rapper Homeboy Sandman's video for "Talking (Bleep)". Today, his full-length album Kindness For Weakness has been made available for purchase. The 14-track album features current tourmate Aesop Rock along with production from RJD2 and Large Professor. Homeboy Sandman has also shared a bonus track to go along with the album's release: the appropriately titled "Kindness For Weakness Out Now". Purchase the album via iTunes and listen to the new song below.